If vaccinations are an issue for your family, then parents can request a Personal Beliefs Exemption (PBE) from their medical professional prior to December 31, 2015. The form, CDPH 8262, should be turned into the school office as soon as possible. Filing of this form will allow your student to delay the mandated shots until the next vaccination checkpoint (7th grade or transfer to a new school). More information about the PBE can be found at http://www.shotsforschool.org/laws/exemptions/#PBE-NEW. #2 – My Children Are Homeschooled. Children attending a home-based private school are exempt from this new law. This would seem to include students enrolled in PSPs (private school satellite programs) and families who file a PSA (private school affidavit). Also exempt from the law’s requirements are those “enrolled in an independent study program pursuant to Article 5.5 (commencing with Section 51745) of Chapter 5 of Part 28 of the Education Code and does not receive classroom-based instruction” SEC 2 Section 120335(f) of SB277. The legal departments of many charter school homeschooling programs (charter schools, by definition, are not private schools) have issued opinions that their students will be exempt from the mandatory vaccinations under this section of the law. School administrators are currently waiting for the California State Department of Public Health or other government authority to state if unvaccinated homeschool students will need to document their exemption in any manner. #3 – My Children Attend a Hybrid Program – home-based instruction mixed with classroom instruction. 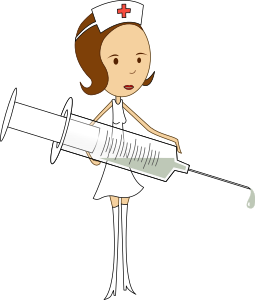 If the school program does not clearly fall under the rules stated in SEC 2 Section 120335(f) of the new law, then you will need to await further guidelines from the state as to whether your children require vaccinations or not. If vaccinations are an issue for your family, then I recommend that you visit your doctor prior to December 31, 2015, to secure a Personal Beliefs Exemption (PBE) and file it with your school now. Then if your school program is later determined to be ineligible for vaccination exemption, you can use the PBE to delay the mandated shots until the next vaccination checkpoint (7th grade or transfer to a new school). Mandatory vaccinations are an emotionally-charged issue for many in our state today. Each family will need to weigh the implications of the medical and educational choices now legally available to them as they determine where to send their children to school next year. For further information, you can read the text of the law and the Legislative Counsel’s opinion at https://leginfo.legislature.ca.gov/faces/billNavClient.xhtml?bill_id=201520160SB277. Want to learn more about homeschooling? Invite Penny to speak to your group on “Homeschooling: The What, the Why, and the How” or check her website (www.toolsforthehomeeducator.com) to see when it is next scheduled in her Torrance office. This article is not intended to be, nor does it constitute the giving of legal advice. It represents my personal opinions only. For legal information on how SB277 impacts homeschoolers or for any other legal questions or concerns regarding homeschooling, I strongly recommend membership in HSLDA (Home School Legal Defense Association). You can contact them at http://www.hslda.org. Thank you for the clear and concise explanation. Clears up some of the grey areas. If I have a pbe signed before jan 2016 and my daughter starts kinder fall 2016, can i home tutor her (I am a credentialed teacher) starting before the 6 month pbe expires and then transfer her to Kinder in the fall as a transfer student? Thus, grandfathering her in? This is a question better directed to the California Dept. of Public Health. If I am understanding you correctly, you want to homeschool Transitional Kindergarten (which would not require a PBE — personal beliefs exemption) and then transfer into a campus-based school for kindergarten using a PBE which normally must be signed within 6 months of school entry. As a homeschooler, I don’t really know the ins and outs of TK — whether a kindergarten student who did not attend TK at a particular school is treated as a transfer student or as an initial-entry student. Also check out the website shotsforschool.org to see if it sheds any light on your question. If you get some clarity on this issue, please let me know as I’m sure others will be asking. Thank you!